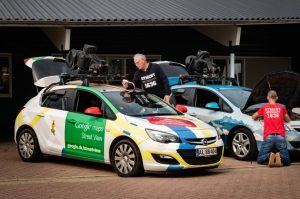 Since last month a Google street view car drives through the streets of Copenhagen to measure air quality throughout the city. Researchers from Utrecht University are responsible for the technical and scientific support of the project. Among these researchers is Roel Vermeulen, Professor of Environmental Epidemiology and Exposome Science at Utrecht University and member of the GGHDC researchers team. According to him the “wealth of data” that this project brings “will help us to to better understand what drives air quality in Copenhagen and what improvements we can make”. It will for instance be possible to more effectively study the impact of low concentrations of air pollution on public health.